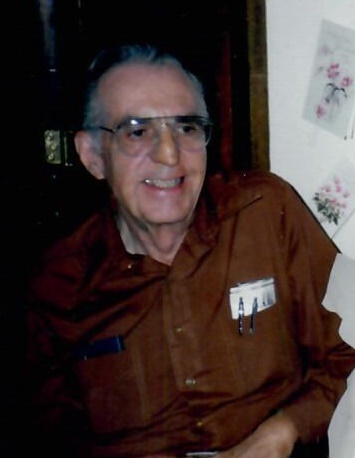 HERMITAGE-Frederick A. Bender Jr. 93, formerly Cranbrook Drive passed away on Thursday October 4, 2018 in St. John XXIII Home following an extended illness. He was born in Sharon on September 4, 1925 a son of the late Frederick A. and Elizabeth (Clark) Bender. Fred was a 1943 alumni of Sharon High School and following graduation went on to serve in the U.S. Army Air Corps. with the 398th Bomber Squadron as an Aerial Gunner during World War II. He received his honorable discharge on August 14, 1946 as well as the American Campaign Medal, Good Conduct Medal, Asiatic Pacific Campaign Medal, World War II Victory Medal, and the Distinguished Service Medal. Fred worked as a clerk for the former Standard Slag Company for thirty-nine years following the company from Sharpsville to Canfield, Ohio where it would become known as Lafarge. He was a lifetime member of Shenango Valley V.F.W. Post #1338 in Sharon, had passion for gardening and woodworking, and an avid Steelers fan. He also enjoyed working crossword puzzles, billiards, Ping-Pong, and playing “cut throat croquet” at family gatherings. He leaves behind his children, Jon F. Bender and his wife, Toni of Hermitage, James M. Bender of Montrose, CO., Betsy A. Bender of Sharon, and Janice L. Farmakis and her husband, A.J. of Hermitage; eight grandchildren, Jon M. Bender and his wife, Neely, Daniel P. Bender and his wife Amy, Nicholas A. Bender and his wife, Alexis, Tricia Bender, Christina Murray and her husband Jon, April Plummer, Jacob Soles, and Anna Farmakis; nine great-grandchildren and many nieces and nephews. He was preceded in death by his wife of fifty-four years the former Helen Wolansky on December 5, 2010, his sister Doris Owens, and brother Donald Bender. In keeping with Fred’s wishes, a private service will be held on Wednesday at the Sample-O’Donnell Funeral Home 555 East State Street Sharon, PA 16146 with the Rev. Stacie Pitts, chaplain of Sharon Regional Hospice, officiating. Burial will follow next to his wife at Oakwood Cemetery. Contributions in his honor may be made to either Sharon Regional Hospice, A.S.P.C.A., or to the Salvation Army.